To-day we are honoured and blessed by the visit of Your Grace Archbishop of Birmingham Bernard Longley. He has come to us with his colleagues to present me an Award, a sign of utter humility which the Lord loves. The Award is not only for me as I share it with my spiritual leader Sant Baba Puran Singh ji who, in my spiritual path, gave me the lesson of rendering selfless services, Nishkam Sewa, without expectation of any reward whatsoever of any kind but only for the love of God. His successor and my second spiritual master Bhai Norang Singh ji and now Bhai Sahib Bhai Mohinder Singh ji have also guided me on the same path. The credit for this Award go to them as well. My identity is that I am a member of the Jatha, the members of this congregation and as such I share this Award with them as well. I, therefore, share this Award, in the first instance with my eternal Guru Guru Granth Sahib ji, then my spiritual masters, the Jatha and the Sikh Community at large. Thank you Your Grace. This has been a most humbling experience for me. Your Grace, among the many virtues you have, there is humility, kindness, love, and genuine feeling of pain and suffering and joy of humanity at large, you are really a Peoples Archbishop. Fostering Interfaith relations in particular Sikh and Roman Catholic and then to recognise that is in the true spirit of the Nostra Aerate Declaration made some 40 years ago. The Archbishop in promoting this spirit made History on the 22nd. 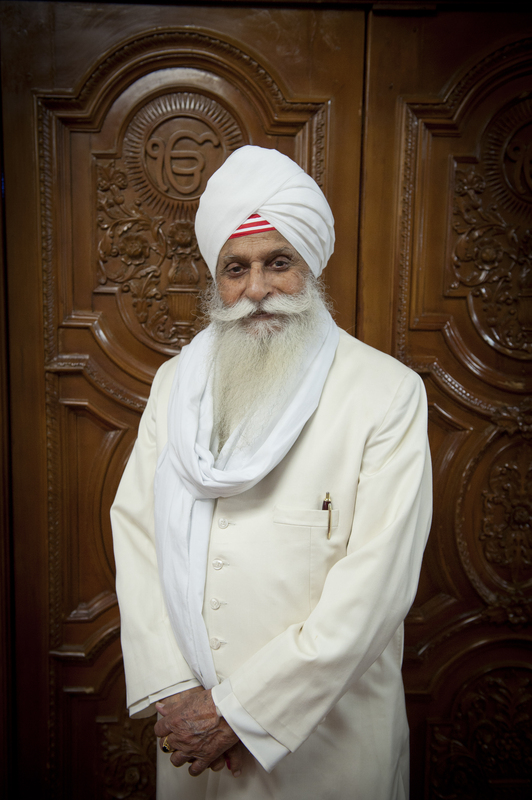 April 2012 when Papal Knighthood was given to Bhai Sahib Bhai Mohinder Singh ji and William Ozanne. History has once again been made by the Archbishop in coming to us to present the highest Award he can give, and that to a First Sikh. Your Grace, we pray that may the Lord bless you, and give you the courage, strength and good health so that you continue to do this good work. Chevalier William Ozanne affectionately known by us as Bill Ozanne made all this possible. We had the desire and he helped to fulfil it. Thank you Bill. Our relations with Bill are such that he is considered an accepted member of our congregation, and so is Margaret. When she comes the ladies in the kitchen are excited and they know that she will eat the yellow roti (bread) and the volunteers who serve food also know what Margaret will eat. Such are our wonderful and cordial relations. Is that not wonderful? Cannon Breen, Father Dominic and Sister Luke have given us a lot of love, and shown great kindness. May these relations continue to flourish? Thank you again Your Grace.